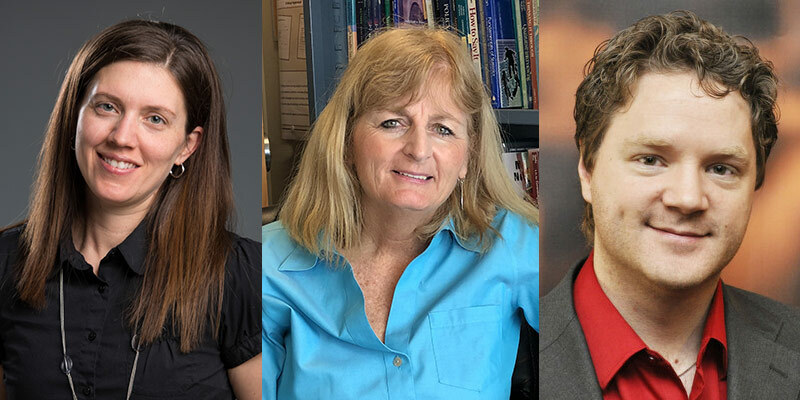 The Canadian Frailty Network (CFN) and the New Brunswick Health Research Foundation (NBHRF) have awarded funding to three University of New Brunswick researchers through the CFN-NBHRF Frailty and Aging Research Engagement (FARE) Initiative. Dr. Danielle Bouchard and her team, which includes principal co-investigators Linda Caissie from St. Thomas University and Grant Handrigan from Université de Moncton, received $178,020 for their project, “Stand if You Can.” A minimum of four New Brunswick nursing homes will participate in the study, which is the first of its kind. The research team will evaluate whether sitting less impacts various health indicators, such as blood sugar levels, mobility levels and levels of depression. Dr. Bouchard is an associate professor in UNB Fredericton’s faculty of kinesiology. Dr. Rose McCloskey and her team, which includes principal co-investigator Dr. Pamela Jarrett from Dalhousie University and Horizon Health, received $92,950 for their project, “Optimizing transitions from hospital to home for frail older adults: A mixed method study to examine how hospital discharge plans translate into supportive home care environments.” In this project, researchers will map and analyse the process of planning and enacting hospital-to-home moves of frail older adults in three cities in New Brunswick to help policy makers and clinicians improve these transitions. The team also received an additional $100,720 from Horizon Health and the Maritime SPOR Support Unit. Dr. McCloskey is a professor in the department of nursing and health sciences at UNB Saint John. Dr. Keith Brunt and Dr. Jean-Francois Legare, a cardiac surgeon at the New Brunswick Heart Centre, will direct a team that received $75,000 for their project, “Benefits of a Telehealth home-monitoring program for patients living with frailty undergoing heart surgery.” This is also part of an ongoing collaboration between UNB and Horizon Health Network. The researchers will test Telehealth home-monitoring and observe how this emerging technology will allow patients to return home and remain in contact with their health-care team for the first 30 days following surgery. Dr. Brunt is an adjunct professor in the faculty of business at UNB Saint John. Given that New Brunswick has the highest concentration of citizens over the age of 65, the FARE Initiative, in partnership with the Department of Social Development, was created to encourage research and knowledge translation in the area of frailty and aging. This will allow policy makers and service providers to address the ever-increasing needs of this vulnerable segment of the population. Photo credit: Rob Blanchard, UNB (Bouchard), Scott Thomas, UNB (McCloskey) and NBIF (Brunt).